The second lecture in our "An Afternoon with..." series! Join Motivarti and Gallery Nucleus for a special event featuring character designer and story artist David Colman. 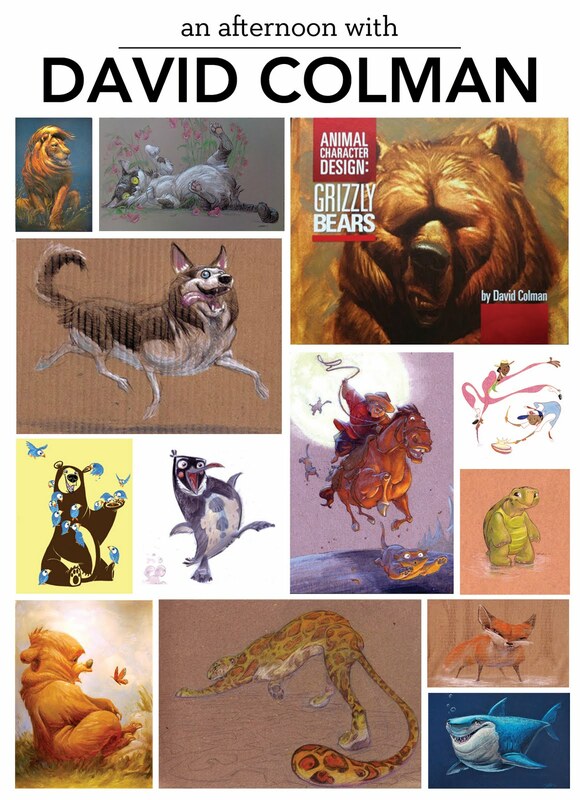 David will discuss his extensive experience in the entertainment industry, give a demo of his character design process, and introduce and sign his new book, Animal Character Design: Grizzly Bears. Get three free raffle tickets when you purchase an event ticket. Plus, college students show their I.D. at the door for an additional five free raffle tickets! David Colman is an intensely motivated, self-taught artist with a passion for his craft. His career in the entertainment industry spans many years, and includes clients such as Sony Animation (feature and TV), Cartoon Network, Disney Animation (feature and TV), Blue Sky Studios, Nickelodeon Consumer Products, and EA Games. David currently works as a storyboard artist with ImageMovers Digital. Animal Character Design: Grizzly Bears is his third book. At Motivarti, we believe that luck happens when opportunity meets preparation. Whether you’re a working professional, recent graduate, or current student, you’ll find that our lectures, classes, workshops, and events will broaden your creative horizons, and help you make your own luck. For more information, visit Motivarti.org.